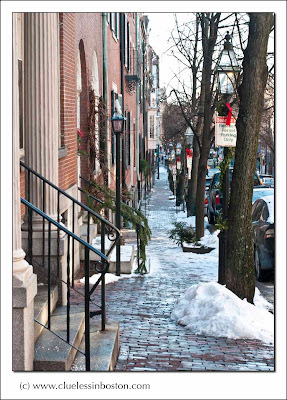 Chestnut Street on Beacon Hill. Christmas spirit is still in the air, but it's slowly evaporating.. So beautiful. And no people in sight.